Didn’t see this in store today although it features in the stores product alert. This was in my stores product alert email today as well but they haven’t received it yet. I did however pick up the Limitless Blue CRB which I think this picture is pretty accurate. 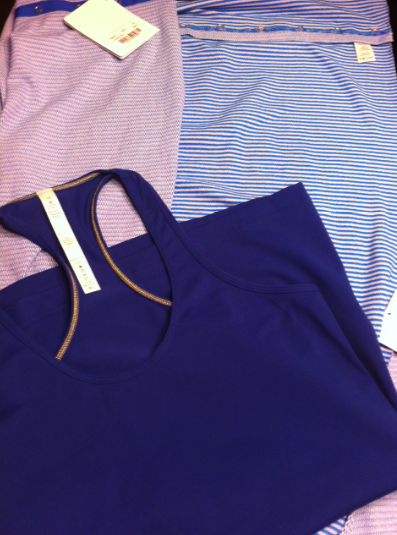 The Beaming Blue/Polar Cream Vinyasa II is mini cheque/pique just like the black one that was out a few weeks ago. Really soft! I’ve picked it up but I’m not 100% sold on it yet. I’m told there is a new pink coming in CRB form as well as a new Vinyasa and it’s called ‘Bliss Pink’. So I may prefer that to this really gorgeous Beaming Blue one. 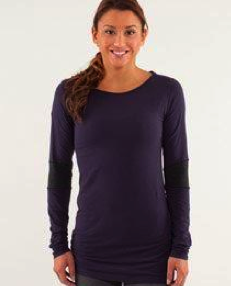 "Beaming Blue/Polar Cream Vinyasa and Limitless Blue CRB"